An immediately evocative game, The King’s Bird has been wonderfully crafted to be an experience that stays with you. In a pretty way. The bold colours and silhouetted city make for a striking backdrop on which to play. A lot of detail is woven into the background, despite the generally minimalist design, in the form of swirling clouds and distant shadowy figures. The atmosphere is heightened by the lovely music, which is gentle as you explore and swells in moments of tension in a way that tells a vivid story. You play as a small figure who leaps between buildings, but is trapped from escaping a tyrannical city. This premise is a familiar one and, for all the fantastical elements of the game, it’s easy to relate to this character that yearns only for freedom. The tutorial comes in the form of pictorial instructions emblazoned on the side of the silhouetted buildings. This makes it really easy to pick up and practice as you explore the first setting. The story of the city is also explained through murals on the finer buildings, in the style of the ancients. It doesn’t interrupt the flow of the game and allows you to figure it out at your own pace. The controls are simple enough to pick up. You run, you jump and you have a mystical ability to swoop and glide in the air. 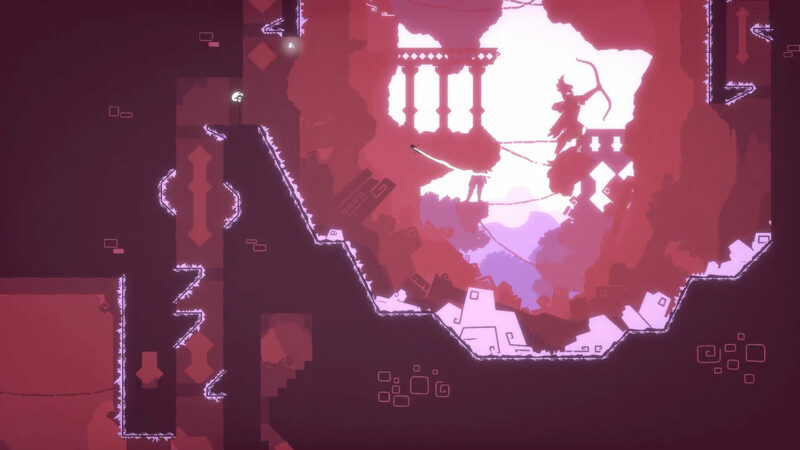 This addition gives the platformer element of The King’s Bird an additional sense of challenge, as well as making it stand out a bit from other games with similar formats. Once you’ve got the hang of the controls, you’ll eventually reach the edge of the city. Here, winged creatures teach you how to fly and to escape the cage. From then on, you explore the world at your own leisure. You teleport to different places and the sense of achievement comes through collecting all the sprites along the way. 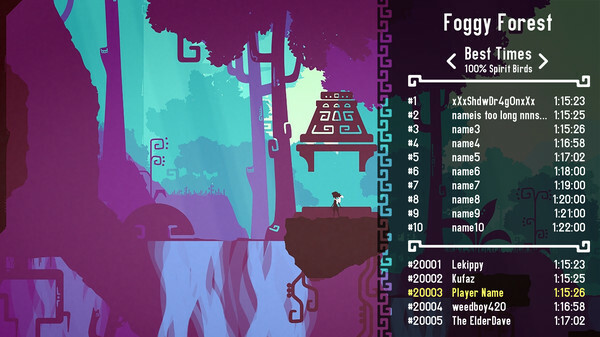 Each level is timed so you can return to try to beat your past attempts. There is a puzzle element to The King’s Bird in that you need to work out the most effective way to use your powers to beat your scores. If it gets too challenging there is an assist mode that offers you tips. The King’s Bird is a stunning game that is beautiful to look at. The movements are smooth, the music is incredible and the world has a rich narrative that is subtle but easy to pick up on. The King’s Bird is a beautiful game. 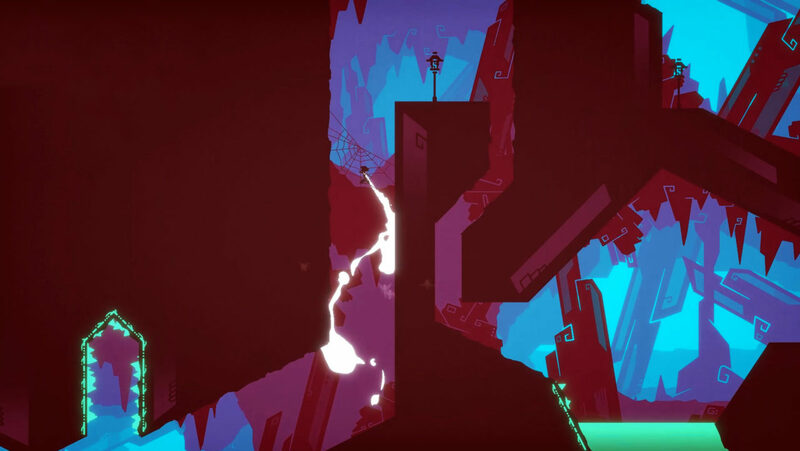 It’s easy to learn, with movements that make for a unique take on the classic 2D platformer, set against a bold and stunning backdrop.